Joshua Ashley Klayman is a counsel in the Finance + Projects group at global law firm Morrison & Foerster LLP and co-head of the firm’s Blockchain + Smart Contracts group. Martin Kovnats, Donald Johnston, Matthew Liberatore and Shannon Corregan work at Canadian law firm Aird & Berlis LLP, where they specialize in M&A, private equity and data security. In this opinion piece, the authors present a detailed overview of Canada’s recent ruling on initial coin offerings and what they mean for the market. The list of jurisdictions that are silent on the question of whether blockchain tokens may be securities has grown smaller. Less than a month after the U.S. Securities and Exchange Commission (SEC) and the Monetary Authority of Singapore (MAS) each issued guidance regarding the application of their respective securities laws to token sales, Canada has weighed-in with a warning that largely is consistent with those nations’ messages: issuers beware, tokens may be securities. On August 24, the Canadian Securities Administrators (CSA), an organization composed of Canada’s provincial and territorial securities regulators, released Staff Notice 46-307 Cryptocurrency Offerings, which addresses how Canadian securities laws may apply to cryptocurrency offerings – a category that includes initial token sales and initial coin offerings, cryptocurrency investment funds and the cryptocurrency exchanges that trade such products. In addition, the notice helps to clarify which tokens may be considered securities for the purposes of Canadian securities legislation. Unlike the recent SEC report, the notice does not focus on a particular enforcement action or on a potential bad actor or fraudster. Instead, the notice provides generalized advice to those contemplating raising capital via a token sale or creating a cryptocurrency investment fund, and invites such businesses to reach out to local securities regulatory authorities to discuss ways in which to comply with Canadian securities law. Consistent with the recent U.S. and Singapore guidance regarding token sales, the notice does not state that all cryptocurrency offerings automatically will constitute trades in securities and, instead, explains that a facts-and-circumstances-type inquiry will apply. The CSA notes that, in certain cases, a coin or token may be considered a security for the purposes of Canadian securities law, and that cryptocurrency offerings must be assessed individually to determine if they fall within the ambit of the legislation. The Canadian tests for what may be considered a security are, in many ways, similar to the U.S. securities analysis. 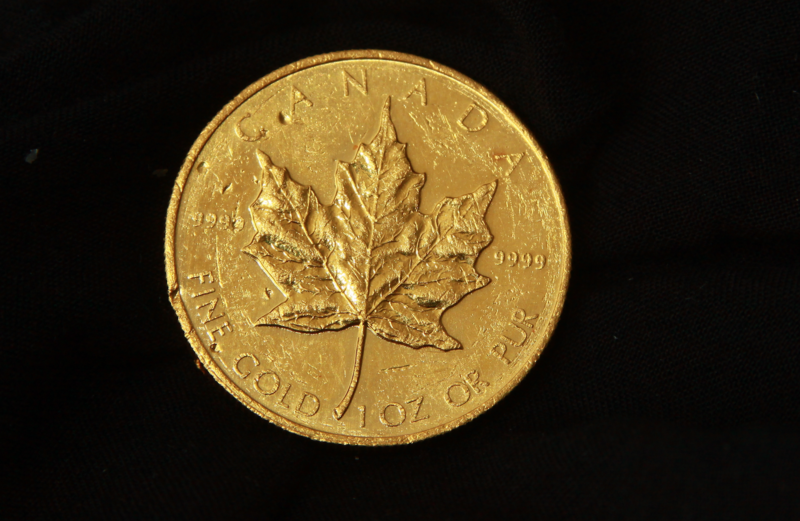 Section 1 of Ontario’s Securities Act (OSA) provides a lengthy but non-exhaustive definition of “security,” which includes “any investment contract.” This definition may capture a purchase of coins or tokens where the value of such coins or tokens are dependent upon the future profits or success of a particular business. In Canada, the leading case for determining whether an investment contract exists is the Supreme Court of Canada’s decision in Pacific Coast Coin Exchange v. Ontario (Securities Commission) (“Pacific Coin”). The four-pronged test announced by Pacific Coin is arguably based on the Howey test that exists under U.S. law. that comes significantly from the efforts of others. Prior to the CSA’s release of the notice, there had been some speculation in Canada that Canadian authorities might rely on the “family resemblance test” set out in “Ontario Securities Commission v. Tiffin” or adopt an entirely new approach for classifying and regulating tokens, coins and cryptocurrency offerings. The notice, however, seems to indicate that Pacific Coin remains the key case for determining what may constitute a security. If an instrument satisfies the Pacific Coin test, it is an investment contract under Canadian securities law, and therefore a security for the purposes of section 1 of the OSA. If a given token or coin is deemed to be a security under the Pacific Coin test, the applicable cryptocurrency offering for such token or coin may be classified as a trade in securities, in which case, Canadian securities laws would apply to the transaction. Requires a seller of securities to provide a prospectus (or rely on an exemption). Imposes civil liability to investors if transactions fail to comply with securities laws. And requires registration if the business conducting the ICOs/ITOs is trading in securities for a business purpose (the “business trigger”). Prospectus and trading requirements: To be in compliance with Ontario securities legislation, sellers of securities must either file a prospectus with the regulatory authorities or rely on a prospectus exemption. In the notice, while the CSA mentions that, as of the date of the notice, no business had used a prospectus exemption to complete a cryptocurrency offering in Canada, it also states that it anticipates that cryptocurrency businesses may rely on the accredited- investor exemption (which requires investors to pass an asset test), or the offering memorandum exemption (which implements various specific disclosure obligations on the part of the issuer), depending on the provincial securities legislation in consideration. The notice also mentions that consideration should also be given to the trading of coin/token securities, post-cryptocurrency offering, on exchanges and to the applicable restrictions on secondary trading. Registration requirements: If a token or coin seller meets the business trigger-test by trading in securities for a business purpose, the seller will be required to either register as a dealer or rely on an exemption from the dealer registration requirement. In the notice, the CSA lists, among others, the following important considerations for determining whether a natural person or entity is trading in securities: solicitation of a broad investor base (including retail investors); use of the Internet, including public websites and discussion boards, to reach a large number of potential investors; and raising a significant amount of capital from a large number of investors. Marketplace requirements: If a cryptocurrency exchange offers instruments that are securities, the exchange may be required to comply with the Canadian securities laws governing “exchanges,” either by applying for recognition as a marketplace, or by applying for an exemption from recognition. In the notice, the CSA notes that, as of the date of the notice, no cryptocurrency exchange had been recognized in any Canadian jurisdiction, nor had any cryptocurrency exchange been exempted from recognition. The potential for full prospectus disclosure requirements, in the case of funds for which fund investors are expected to or will include retail investors. Due diligence efforts of the fund with respect to any cryptocurrency exchange that the fund will use to buy or sell coins or tokens (e.g. bitcoin). Appropriate registration categories, which may include registration as (among others) a dealer, an adviser and/or an investment fund manager. Valuation (and auditing of the fund’s valuation) of cryptocurrencies and securities in the fund, as well as selection of one or more cryptocurrency exchanges. “Custody” in the cryptocurrency context, including requiring the relevant custodian to have expertise relevant to holding cryptocurrencies (including “experience with hot and cold storage, security measures to keep cryptocurrencies protected from theft and the ability to segregate the cryptocurrencies from other holdings as needed”). Overall, the notice clarifies that cryptocurrencies, as well as cryptocurrency offerings, exchanges and investment funds, remain subject to the existing Canadian securities law framework. The CSA appears to be signaling that it wishes to collaborate and interact with businesses in the coin and token space, to avoid regulatory surprises while encouraging financial innovation and development. We will see whether the Financial and Consumer Affairs Authority of Saskatchewan will take a similar approach after the provincial by-election in the province on September 7.